Buying a saddle is a matter of trust. For you and for us. This is why we support Western saddle suppliers as well as people interesting in buying a Western saddle. Anyone selling a branded Western saddle gives it to us on a commission basis. 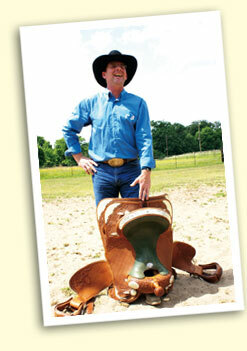 For the commissioning of a Western saddle we charge a one-off administration fee of 30.00 Euro. The scope of insurance and minimum price are laid down in writing and are binding for both parties. Settlement is immediate if the saddle is sold. We offer you the opportunity of having a qualified animal physiotherapist present if you try a saddle at our premises. She will check your horse’s spine, joints, musculature and mobility before saddling, and will draw up an initial case history. Trying a saddle including this extra service costs 85.- Euro. We would also be happy to check the fit of your saddle even if you did not buy it from us. We charge 50.- Euro for checking the fit. We charge 0.50 Euro / km from Solingen to get to you. We offer this service within a maximum radius of 80 km. We earn the same amount from each saddle, because our mark-up does not depend on the price of the saddle. Not so good for us, but good for you, because this means you can count on individual service and the best advice, even if you decide on the least expensive saddle. We are a market. And this also means that we bill our customers directly. So that this is fair for both sides, the following services are excluded: Trade-in / exchange transactions, EC cash, credit cards or instalment payments and price negotiations.